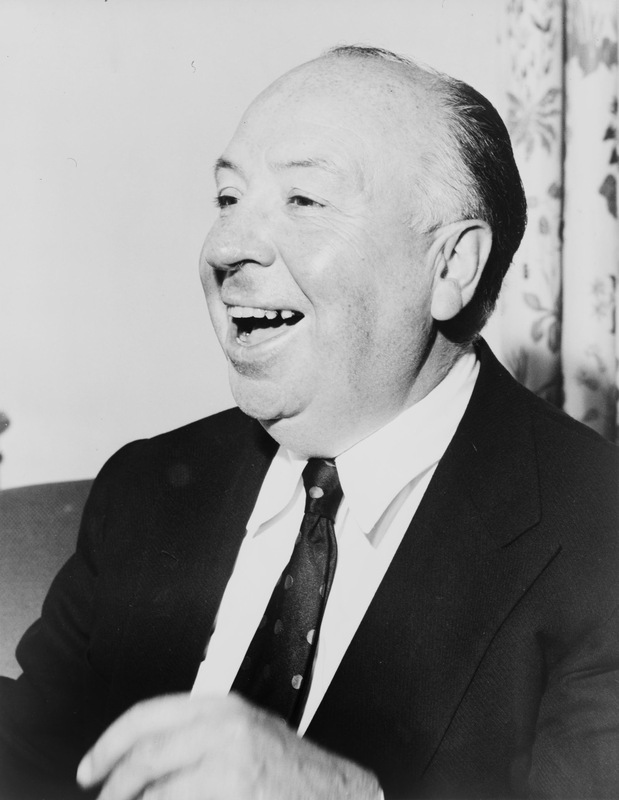 Hitchcock made his move to Hollywood in the late 1930s on the back of phenomenal success in his native Britain. This was thanks to his preternatural, largely self-taught talent, of course – adverts for his first completed film, The Pleasure Garden, boldly declared that he was the “youngest director in the world”. But it was also his good fortune to be learning his craft in the right place and at the right time. Three million Britons went the cinema each week during the 1920s, and there were plenty of opportunities for the ambitious and inventive. As it happens, The Pleasure Garden was a flop; but Hitchcock got another bite of the apple, and the success of 1927’s The Lodger: A Story of the London Fog (which the director later called his first true “Hitchcock” film) set him on the path to becoming the most feted director of the 20th century. Because his early films were all silents – and also because of the impressive turnover of British studios in the roaring 20s – Hitchcock’s early works were soon superseded in the public imagination. Once talkies became the prime currency of movie-making, his first ten movies disappeared from view. But thanks to a new project undertaken by the British Film Institute, several years in the making, restored versions of nine of Alfred Hitchcock’s first 10 movies have been returned to the public gaze. The Hitchcock 9, touring Israel over the next month with the support of the British Council, gives film-goers the chance to see the first steps the master took in making movies. That the films have survived until now is partly a matter of chance: ever the showman, Hitchcock did everything he did to make sure his films remained in the public consciousness (after the success of The Lodger, he hired his own publicist, a very unusual step at the time). But it is as much down to the diligence of the BFI’s National Film Archive and particularly its first curator, Ernest Lindgren. Film preservation then was not the given that it is today: aside from the fact that Lindgren started off the library (as it was called then) with a minuscule budget, there was the contradictory complication of everyday practicalities. Storing film stock presumed unwanted after the advent of the talkies was expensive and potentially dangerous, due to its flammability; that aside, the silver deposits that could be recovered from melted-down stock gave a very good reason for its non-preservation. But thanks to the happy accident of self-publicity and some very hard archival work, some things were saved. What can we learn about Hitchcock from watching the 9? They are, first and foremost, a historical document. The viewer who expects to find the polished replication of the dramatic tensions of, say, Rear Window or North by Northwest will be disappointed. They didn’t make ‘em like that then. But there is much about his early works to capture the imagination. Lodger, which I watched in preview last week, reveal many of the leitmotifs that we have come to associate with Hitchcock’s work: unconventional camera angles, long unflinching takes, the gradual escalation of the overwhelming state of suspense and tension. This he did without dialogue, we must remember: the score and incidental music were an integral part of the filmmaking process, crafted with much more care than today, I’d argue. It is interesting to see how much reliance the actors (notably, in The Lodger, the matinee idol Ivor Novello) placed on facial expressions and physical posture to convey emotion. But alas, the original scores for the Hitchcock 9 have been lost. But this loss is, in a sense, our gain through an interesting experiment, the commissioning of new scores to accompany the restoration of Hitchcock 9. Three of the nine films have pre-recorded scores from leading contemporary British musicians. Soweto Kinch, the Mercury Prize-nominated saxophonist (2003’s Conversations with the Unseen) and rapper scores The Ring; John Sweeney, who has accompanied silent films live for over 2 decades, works Downhill; and Nitin Sawheny, the Eastern fusion composer and arranger (most notably with 2000’s Beyond Skin) who takes his cues from his Anglo-Indian heritage, takes the helm for The Lodger. The real fun bit, I think, will be with the 6 remaining films, which will be scored, live, by a pick of Israel’s best contemporary musical talent: Daniel Salomon, Wisam Gibran (read more here), Eran Tsur, Karni Postel and Tom Darom, Ofer Tal (Schoolmaster), Mark Eliyahu (read more here), and Abatte Berihun and Omri Mor. Each will bring a different artistic sensibility to the Hitchcock 9, ranging from Salomon’s sensitive pop-rock to Gibran’s melodic oud and Schoolmaster’s genre mash-up. It promises to be quite an event.